The Major League Hackathons—Penn Apps, MHacks, BoilerMake, and HackTech–are great. Go to these. But go to the small hackathons, too. Good things come from the small, informal hackathons. And you can even easily organize one yourself. The very first hackathon was small. I’m stating the obvious, but hackathons did not start as large organized events with multiple sponsors. They started as informal get-togethers. People like you, the makers and creators, got together to create something cool. Hold informal hackathons. Get a handful of friends, pick a venue like your co-working space or apartment, and pitch in for some pizza and soda, invite others, and hack for 24 hours. Publicize your event on Meetup.com, tweet it out, and put up posters around your school or neighborhood. You’ll get a small attendance and it will be great. My friends and I recently did this at Riverside.io. 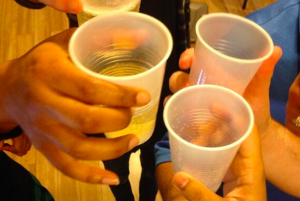 We threw a New Year’s Eve Hackathon. Eleven people attended, multiple different hacks were made and built upon. We had champagne at New Year’s and then went back to hacking. I met new people, learned new things, taught some things, and coded all night long. It was a wonderful informal experience. The food was informal, sleeping was informal (bring your own sleeping bag), and the prize for best hack was informal. 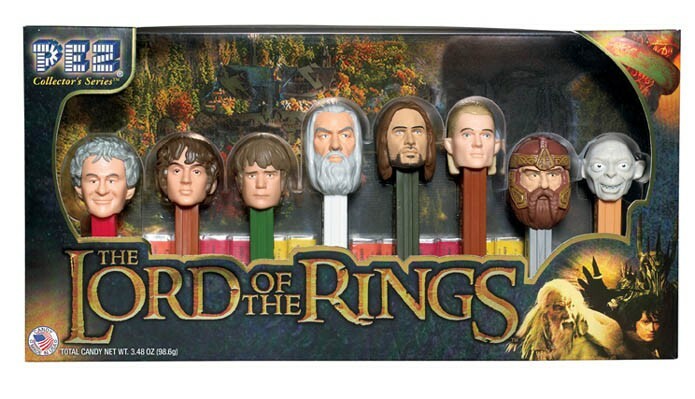 It was a Hobbit (the movie) themed set of Pez dispensers. We picked it up last minute at the nearby CVS Pharmacy. Others have put on these small informal hackathons too. Robin and Alex put on Merry Haxmas. Yamil and his friends put on Puerto Rico’s first hackathon. Nick attended Spocode and has blogged about maintaining the good elements of small hackathons in the environment of the large hackathons. Keep hacking. If you put on an informal hackathon, let me know. Send me pictures. I’d love to share your story with others.